Mic Modeler allows any reasonable quality microphone to sound like any of a wide variety of high-end studio mics. 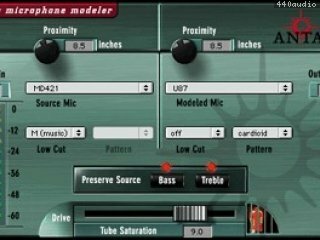 Mic Modeler includes an extensive collection of digital models of historical classics, modern exotics, and industry-standart workhorses. Additionnal models can be downloaded from the Antares web site. The models reproduce the effets of windscreens, low-cut filters, pattern-dependant frequency response and proximity effect. 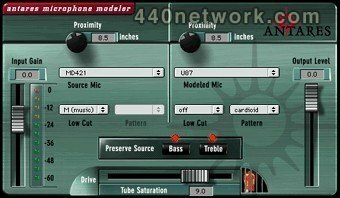 You can also add classic tube saturation distortion.